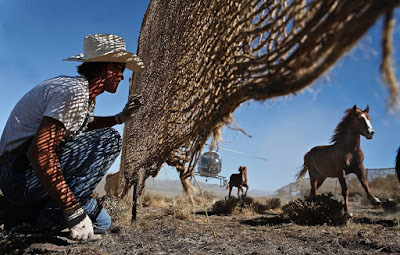 BLM 2008: Killing captive wild horses “magic bullet for budget problems"
BLM 2015: Killing captive wild horses sold to Tom Davis in 2008 was "deceitful"
Three years after the public demanded an investigation of Bureau of Land Management sales of wild horses to Mexican slaughter houses via known kill-buyer Tom Davis of Colorado, the U.S. Department of the Interior's Office of Inspector General issued a report confirming the deal. I mean, BLM had absolutely no idea what Davis had done with 1,794 federally-protected wild horses. It’s been almost 7 years to the day since my op-ed in the Reno Gazette Journal quoted then-BLM Deputy Director Henri Bisson who suggested killing captive wild horses might be a “magic bullet for budget problems". 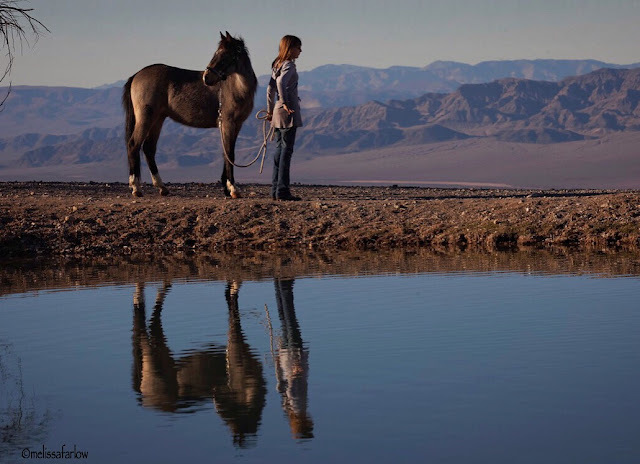 “BLM hasn't yet exerted its full powers” over mustangs. I mean, it almost sounds like a policy had been born. Still, after the publication of the Op-Ed and a longer blog on the same topic, I heard from Spencer who asked why I’d turned on the BLM. I responded that I was tired of lies, and never heard from her again. If this wasn't an attempt to balance the BLM budget on the backs of wild horses, what was it? Before this report came out, I asked BLM questions about Tom Davis and other wild horse policies. They never answered, so I turned to government websites. BLM’s Myths and Facts page often lags behind current events and modern science, but it's never sounded with such hollow irony as it does now. "Myth #2: It is the BLM's policy to sell or send wild horses to slaughter. Fact: This charge is absolutely false. The Department of the Interior and the Bureau of Land Management care deeply about the well-being of wild horses"
But they sent them to slaughter, just the same. into the care of those with muscles to protect our fragile bodies. as we followed the paths made by wise guardians. Instead, Destiny tossed us to the cruel. We hurt. We starved. We tottered, bewildered, from one hard hand to the next. care, and her love for Rocky the mustang appear in WILD AT HEART.